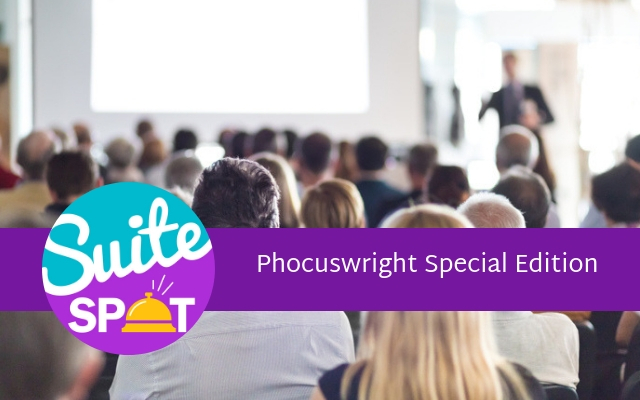 In this special edition episode of Suite Spot, we discuss the recent 2018 Phocuswright conference in Los Angeles. 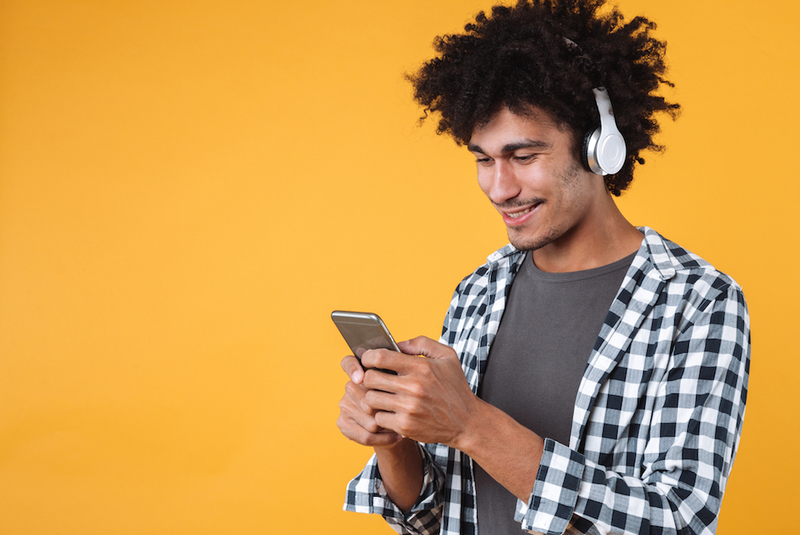 Host Ryan Embree is joined by Patrick O’Brien, product manager and Phocuswright attendee veteran, who gives his take on the innovative technology conference. 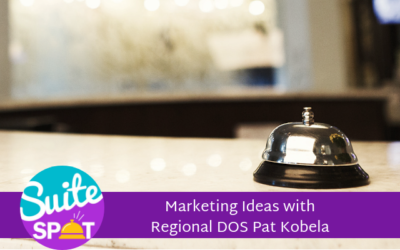 Hear from Patrick as he talks about the theme of this year’s conference and how it sets the stage for the future of the hotel industry. Learn what industry leaders from companies like Airbnb, TripAdvisor, and Expedia are saying about what they have in store for the future of their companies. This episode is an excellent glimpse of where the hotel industry is headed in 2019 and beyond. Ryan Embree: Today we have a very special edition of the Suite Spot. As digital marketing leaders in the industry, it is always our job to make sure that we are at the forefront of all innovations and conferences that are going on around the industry and we have been busy over the past couple of months to give you that insight. Today our episode is going to be focused around Phocuswright Conference, which was in Los Angeles, California at the end of November. I'm here with a guest, Patrick O'Brien. He is our digital product manager. He's been on Suite Spot before, but he is back to give us his insights on the conference, which we both attended. So let me go ahead and first off, welcome Patrick to the show. Welcome. Patrick O'Brien: Thank you very much. Ryan Embree: So I want to first start off uh Phocuswright - this is not your first time going and attending. Um, and really this is a hospitality tech conference, correct? Ryan Embree: Like all conferences, every single year they have sort of a common theme that you would find for each year. And I'm curious what you felt was the theme of this year, 2018's, Phocuswright Conference. Patrick O'Brien: Yeah. So I think this is the fifth or sixth year that I have, I've gone to Phocuswright. And there always seems to be some type of new theme in the years past, uh, you know, it's been kind of around mobile and mobile booking and mobile technology around disruption in the sharing economy and what that's going to do to the travel industry. This year, I kind of felt like you had a collective cooling from the travel industry where it's like we've had all this disruption, all of this growth and everything's maturing a little bit more. And you know, you've had the consolidation of all of these OTA sites and the OTA is gobbling up other, other companies and kind of creating this bigger platform. You know, Airbnb is kind of starting to see their growth level out a little bit more. And so it's, it's obviously now, you know, one of the big players in the industry and so now I feel like you had everybody kind of sitting back and looking out and saying, okay, now we have these big companies out there. Um, travel, I think on the whole is, is increasing. What can we do now to continue to build wealth and sort of get a bigger share of the pie. One of the most interesting statistics that I saw year over year and I may get the year wrong, but I think since like 2014 that founding has gone down and funding has gone up. So what that means is that there are less and less startups coming into the industry. But there's more and more money being pumped into the industry. And I think that is kind of a direct result of what we were seeing is: So now you've had all these startups and all of this money go into the industry. They've sort of proven out the ideas that are going to work. Now they're pumping more money into trying to figure out how to expand the share of the market they already have. Overall though, I think that the theme this year, how do you build trust within your audience and and how do you deliver sort of a more personalized experience. That sort of seemed to be the goal of, of all the companies, let's personalize the experience for the traveler so that they will convert, you know, on our site more frequently and continue to come back and use, you know, whatever channel we are to make those bookings and to be their trusted resource when traveling. Ryan Embree: Completely agree with you. Personalization and curating personal content for the travelers to essentially streamline their journey into making them a purchaser. Kind of smoothing out that funnel all the way from the top down. It is interesting to hear you talk about the funding versus the founding. They pretty much dedicate an entire day to these startups that have these kind of ideas to kind of push technology further in hospitality hotels and travel in general. I'm curious, you sat through a lot of the presentations where you saw that, that a theme of personalization from some of those companies, their ideas and those startups. Patrick O'Brien: The first day of Phocuswright is always my favorite where you know, you get these startup companies and they have basically six minutes to pitch. You usually have about two and a half minutes for feedback from judges and responses. I think it's a great opportunity for these companies to get in there and really get some, some honest critiques and feedbacks and and maybe open their eyes to some new opportunities within their business model. They're also presenting in front of capital investors and it's our opportunity to network and make money and make those sort of dreams a reality. It was funny to me this year because a couple of years ago you had a lot of startup companies getting into creating this curated content platform and you know, the feedback from the judges was your site's really pretty, but you're never going to be successful in this space because you've missed the boat. Patrick O'Brien: You've got too much competition between the OTAs between the brands themselves and then this year we kind of went full circle. You know, a lot of these companies, once again talking about curating content. I think part of that comes into as technology has evolved as more and more companies getting into artificial intelligence and how can we better understand you as a consumer before you know, you've fully engaged with us so that we could present the content that would be best suited to you. There was also conflicting views on that from different panel members as well. Some people saying we want to give you three or four choices, really good choices that are going to make you want to get in there and purchase and travel and then other people saying like, you know, travel is about having lots of choices. Being able to really go in and part of the enjoyment of travel is sort of that research and figuring out what the best trip for you is going to be. You know, some interesting ideas around how to um curate that content and, and show travelers sort of what they may be really interested in. Ryan Embree: And I think it's an interesting point to bring up. They kind of looked at AI and machine learning in a little bit different way. We hear about the voice search or maybe even the, uh, you know, hardware inside of the hotel room for the guest to utilize, but they talked a lot at Phocuswright about AI as far as curating, personalizing. There was a difference of opinion there about whether travelers want to see less options that they feel are more, that are going to be the three or four best options or just giving something like Google where just gives you so much information that it's hard to digest, swallow and figure out what are your best options. So definitely something to keep in mind in the future and curious to see how that'll play out. But speaking of differences of opinion. I thought one of the most interesting points in the conference was the lack of technology and where hospitality is in comparison to other industries and he kind of did a walkthrough his experience of going through the hotel and honestly all he wanted to do was go in, uh not talk to anyone at the front desk, get his key and have a really seamless customer experience. Ryan Embree: Kind of like we were talking about at the beginning of this episode and then he talked about at breakfast, how he was sitting there, he wanted breakfast and the next morning and he was sitting there and had to fill out a card to put on the outside of his door in order to get that. He thought this was completely outdated. Uh, um, and really one of the last industries to sit there and, and implement technology throughout the experience. Yet we have someone from Hilton, a keynote speaker who says that this technology's already there, right? They have keyless entry, they have the ability to order your breakfast and meals right then and there off an app. I'm curious to get your take on where you think hospitality and hotel industry as a whole is when it comes to technology. Because there does seem to be a disparity out there of where they think hotel industry is. Patrick O'Brien: Kellyn Smith Kenny from Hilton. I, I thought it was dynamic and I thought she was excellent in her presentation and I think they're both right. The technology is there, uh, you know, in, in Hilton does have keyless entry and different ways that you can communicate and, but the problem is, uh, from travel looking like it's outdated and um, you know, it's just not keeping up with technology is, it's, there's just so many moving. There's so many moving parts, um, within the, the travel experience and you know, for Hilton, if you book through Hilton, um, yes you can use the keyless entry, but if you say at that same hotel and you booked through Expedia, you don't have access to that. And I think that the hospitality industry's biggest hurdle is that first, I don't think that most guests understand the difference between like, Oh, if I'm booking through Expedia, I'm not really Hilton's customer. Patrick O'Brien: I'm staying at the Hilton. Um, and you know, that I can't exactly expect the exact amenities and services that I'd be getting if I was booking direct and we see that um on the respond program a lot where people are like, the hotel wouldn't give me a refund, you know, or, or give me any credits for this bad experience. Yet they booked through Expedia and they don't understand that, you know, at the hotel never got that money. You paid Expedia, you need to work with Expedia on that and it just goes with, with technology and how do you standardize that experience for every traveler when they're coming through and you have different formats and you know, and then on the flip side, even if you book through Hilton directly, they are still dealing with, you know, multiple different franchise owners. You know, they've got a mix of franchise and corporate owned properties but you're dealing with all of these different variables in there. 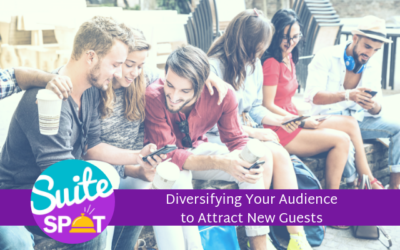 Ryan Embree: And there's such a big spectrum of guest preferences in the hotel industry. I feel like it's one of those industries where it's. It's typical. It's difficult to pinpoint what travelers are going to respond to. Personally. When I travel for business, yes, keyless entry is something that is very attractive, but if I'm on vacation, I'm in an area that I'm not familiar with and that I'm looking to explore. You want that face to face, um, and I don't know we're ever going to get to a point where that face to face, human contact can be completely removed from this industry because it's so deeply ingrained in it. And I don't, I don't think customers all customers necessarily want that, that complete automation of their experience. Patrick O'Brien: Yeah. And then I would say, you know, you look at a company and I think it's hard for people because they're like, well, you know, you look at Uber, you look at Lyft and they built a company off of a technology platform and while, yes you've got, you know, a bunch of contract drivers that you know are going to be a little different, you know, you're trying to manage those variables. At the end of the day it's one, you know, it is one platform and all of your users and your drivers and everybody's interacting through one platform which makes it very easy. But then, you know, in the hotel space, again, you've got people who are booking through all different, different channels. You've got people who have different expectations. If you got people who have different tolerance of technology as well, so it is going to be much slower to kind of figure that all out and consolidate that into a seamless experience. Ryan Embree: And you mentioned, you know, companies like Uber and Lyft that use these technology platforms and one of them and that at least in that is now starting to gain a lot of traction that we mentioned earlier is Airbnb. I want to bring up Airbnb because I think it's interesting the way that OTAs are now starting to view Airbnb and vice versa. We had the OTAs there at Phocuswright Some of the big players, Expedia, like some executives from Kayak, Bookings and then we also had someone from Airbnb there and I thought it was absolutely fascinating to hear them talk about one another and where their future plan was. I wanted to get your take on what you think the next stage of competition is because it looks like both of them might be trying to kind of encroach on each other's territory there. Patrick O'Brien: Yeah. And I think, um, a lot of that comes from probably, you know, the OTAs have started introducing sort of alternative accommodations for a couple of years. Airbnb's now trying to introduce sort of boutique hotels that maybe slightly under serviced, um, you know, through the, through the OTA platforms. I think. I think it's interesting. I think that both can, can do it well. I think where Airbnb has been very successful again comes into that trust factor. They have built a community of very loyal followers that trust what they do. And then the OTAs are going to have a difficult time replicating that a little bit. But I would also say that where the OTAs have a little bit of an advantage is that they, you know, have these booking platforms and if they can really find a way to, um, you know, that's really where they're trying to get to is, hey, you want to rent a hotel? or you want to um, you know, uh, rent a townhouse or a home or something. Patrick O'Brien: And we've got those opportunities for you. And you can go in and you can select the dates. We've got the inventory you can, you know, book and, you know, reserve that and know that it's settled as a traveler who, you know, when my family and I travel, we use Airbnb and VRBO a lot because it's way easier to have kids, you know, within a house than trying to all share one room. But it is super frustrating, you know, when you reach out to the host and say, hey, these are the dates we're interested in, are they still available? Yes or no? Yes they are. And then okay, you kind of tried to work that out and then you come to find out, okay, well somebody else already reserved it, you know, you want to look at somewhere else or you have to kind of start over. Ryan Embree: Airbnb certainly is at kind of a vital crossroad as, as you mentioned, you know, the growth is slowing. They talked at the conference about, you know, potentially, you know, they have some plans into expanding into other parts of the travel industry. And OTAs are, are coming for, for some of their inventory as well. So a very, very fascinating to see kind of where that's going to be headed in the next five to 10 years. The next subject I wanted to transition to is, is kind of your specialty and talk about TripAdvisor. We had the president and CEO of TripAdvisor that was at the conference and did a keynote there and he talked about the new social platform for, for TripAdvisor and how that is integrating. I want to get your input on where you think the benefits are for TripAdvisor and where there might be some issues with this, integrating this. Patrick O'Brien: I personally don't hate the direction that they're going in, but I think that there's a lot of challenges that they're going to face, um, with that. So maybe slightly dating myself here, but my first introduction to TripAdvisor was probably back in 2007, um, and like as a Facebook widget and they'd kind of created a widget to mark all the countries and places you've been. And then you share that on Facebook and your friends can comment back like, oh, I've been here, I've been there. Patrick O'Brien: And um, you know, it was sort of this social platform. Um, and, you know, then you kind of go to the site and you learn more about and you see, oh, people are leaving reviews and okay, well that, that's interesting. You know, as they started building up that content and you know, that was really sort of where they started as being a TripAdvisor, we're going to let people know about when you're taking trips, um, you know, the best information, now we have to monetize that. And so then they started getting into, well you're on here, we're the trusted resource for review information about your travel and your trip. Now that you're in, in the funnel and you're, you're in that purchasing decision, let's make it easy for you to purchase. And I think that was a really wise decision. Then TripAdvisor tried to take it a step further and really get with like direct booking with TripAdvisor, understand the concept behind there. Patrick O'Brien: They wanted to own the customer experience and be able to, you know, manage the customer expectation. I don't think that worked out very well for them. I think, you know, they, they ran into more issues with that. I will say for me and you know, like within the last year or two, it's frustrating to go to TripAdvisor because your first introduction when you land on TripAdvisor was truly like an OTA. I had to put in the location, I wanted to travel the dates I wanted to travel and then I could search. Now when you look at the new page that they just launched, I find it as like as a consumer, you know, much more fascinating and, and much easier to use. Like I've sort of got this content in a feed that looks similar to a Facebook feed, but right at the top I can just, I can click on hotels or restaurants and I can easily get to what I would want to see reviews on. Patrick O'Brien: So I think that they've really sort of dialed in that process to get a customer into, um, you know, a potential traveler into the areas that they're looking for information and kind of getting back into that information and maybe a little less emphasis on the booking and, and so the booking aspect is a little bit more subtle now within TripAdvisor, which I like. And, and I think that that is a smarter play. On the flip side, they're also trying to now create and start their own social media network. And I think that that's a hard road to forge, um, you know, you've got - people love to share photos of their trip, so that works in TripAdvisor's favor. Problem is, they love to share them on Facebook and on Instagram along with pictures of their kids and pictures of the meal that they eat and you know, um, you know, unfortunately probably sometimes political opinions and then all of those things. Patrick O'Brien: And so you kind of got this wide variety and TripAdvisor obviously doesn't want all that content. They just want your travel content and I think you're gonna have a hard time getting people to be like, oh, I posted these pictures on Facebook, now let me go and set something up different. And post on TripAdvisor. Um, so I think the build that mass audience of individuals that you're going to follow and, um, is going to be difficult. Now if there's bloggers and content out there that, that you do follow the idea that they can curate content based on those things that you're more interested in. You know, I think is interesting and I think that, you know, when, when I'm traveling and I'm looking at what are the top 10 restaurants in, in this market, you know, maybe now some people that bloggers that I've, that I follow when I read and I'm going to look at their top 10 versus some other top 10. Patrick O'Brien: I think it's just going to be a hard road for them. They've got to build up that user base and. But again, I like it because I think it's getting back to what TripAdvisor originally was and, and getting a way a little bit from this very hard sell of we're going to book your accommodations. And I felt like over time TripAdvisor sort of cared less and less about actually getting new review content versus booking rooms. And I think that you'll start to see a change. And in my thought is they were noticing that as well that, you know, they were losing people right at the top of the funnel much faster. Just because people are like, I can't figure out how to find reviews on, on these hotels and I don't want to book, I'm just trying to do a little bit of research here. Um, so for me, I like it. I, but I do think there's going to be a lot of challenges, um, for them as far as creating an actual social media platform. Ryan Embree: And, and I agree, I think, you know, as one of the tools that I thought was really cool that they were introducing, was really an itinerary, pretty much a trip itinerary tool that you can put, you know, where you stayed, what restaurants, maybe attractions that you went to and you can share that with your friends and followers and things of that nature. So I think you're right in that sense that they are doing some cool stuff. It's gonna be hard. Like, like you mentioned creating this new portal. He kept saying, you know, I'm not trying to create a new Facebook or a new Instagram, but it's hard because that's what people know. And to my other point, what people know about TripAdvisor also is from a consumer point, at least, this is a place where hotel reviews are so, you know, when hoteliers are sitting there talking to consumers or guests face to face, they're encouraging them to go to TripAdvisor to leave a review, not necessarily leave their itinerary or what you did on that site. 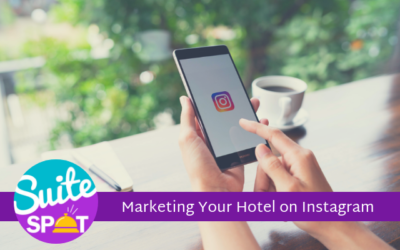 Ryan Embree: So, and then you also have people on the other end that look at TripAdvisor as a way to leverage if they did have a bad stay and impact business. Right. You know, have people that go on there. I know some people that go on these review sites just when they have a bad experience, which is, you know, obviously a hoteliers' nightmare. But those are a lot of the users that come on there. They're not looking to be on that site for anything other than that. Um, you do have those influencers that leave maybe, you know, 50 to 100 every place they're going, they're leaving a review and I think they are really going to engage with this tool. But the one-off customer that creates a TripAdvisor account maybe to leave a positive review because they did have a really special experience. I don't think that they're going to be engaging with this tool as much or the vice versa. Maybe the, the, the person that leaves that negative review. Patrick O'Brien: Yeah. And I think that, um, and again, it's sort of one of those overarching themes and I think where they kind of can run into where it's going to be a difficult road for them is the trust factor. Most casual travelers and definitely most business travelers are not going to be like, here's my itinerary and everything I did and everything I ate, the ones that would do that. Like I, I, my wife loves to plan trips and like, you know, as soon as we go on a trip, she's planning the next one and she's researching everything and kind of doing all that. I'm just along for the ride and I'm like, oh, I just, I liked the experiences and like doing that. She would be somebody that, you know, would go in and probably create that itinerary and know a lot of times people are like, I want to know exactly what you did. We want to do the same trip and so there'll be that trust factor, but it's going to be hard for her to take the time to do something like that to convince people to come look at her itinerary of TripAdvisor. And I think that if they do a good job with it, somebody like Facebook is going to come along and say, okay, this is how they're doing it. Now we can do it and put it in a much more, you know, friends to friends type of platform. Whereas, you know, most of the people that are going to leave itineraries are going to be bloggers or you know, businesses and um, you know, and different travel sites. And again, I think you'd go to that trust factor. I'm one of the statistics that I have used when sort of talking about reputation management, you know, um 90 percent of people will, you know, listen to what other people have to say about your property. Ryan Embree: And we'll see how it plays out. Again, some really interesting things to keep an eye on from this conference. So, final thoughts, you know, as, as a product manager, you know, obviously we serve thousands of hotels when it, when it comes to their digital marketing solutions, what can you take away from these tech conferences like Phocuswright now to help you kind of take your position to the next level? Patrick O'Brien: Yeah, so I think that again, my favorite day is the first day and you get these startups and you know, most of them will not be around at next year's Phocuswright. Um, some of them will, some of them get acquired and you sort of see...get an idea of new ideas, new ways of looking at things, new technology that's out there. Um, as a product manager it gets me thinking about, okay, are there, are there opportunities for us to do some digital partnerships? And kind of enhance our services or are there things that somebody is doing that make a lot of sense with our product mix and the offerings that we give hotels. How can we sort of incorporate those ideas or can we do better, you know? And so it's really neat to kind of network and meet those individuals and talk to them. The other thing that is fascinating is, you know, across the board, I think just being able to see the challenges and the opportunities that all companies in this space and whether they're, you know, a four person startup or Expedia and Booking Holdings who, you know, generate billions in annual revenue each year and you know, the sort of that cycle of, you know, rolling out new technology and implementing new technology. Patrick O'Brien: And again, sort of creating that standardization. Um, so it's always neat to kind of hear those individuals talk and see what they have to say. And again, I think for me it's the technology and um, you know, what opportunities could we be looking at as a company to take, you know, platforms like OneView and you know, maybe even, um, you know, more instrumental into the daily offerings of a hotel owner. So that's always what I love. I love hearing and just sort of getting that state of the industry but say to the industry as it revolves around products and technology. Ryan Embree: Awesome. Awesome. Well, great stuff, Patrick, as always, and I'm sure we'll visit with you again on the next conference, but next tech conference. But I want to thank you for your time today. If you did attend, um, and have some feedback, we'd love to hear from you, you can always contact us at 407-984-7455. Again, my name is Ryan Embree and we'll talk to you next time. Patrick O'Brien: To join our loyalty program, be sure to subscribe and give us a five-star rating on iTunes. Suite Spot is produced by Travel Media Group, our editor is Anne Sandoval with cover art by Bary Gordon and content support by Amber Wojcek. I'm your host, Ryan Embree, and we hope you enjoyed your stay.